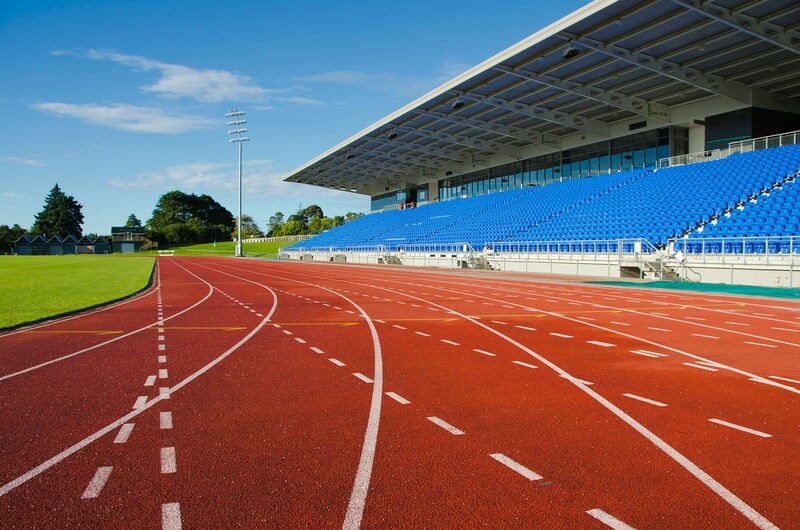 Athletics and court sports can benefit hugely from the installation of modern polymeric surfaces – a popular choice for schools, sports clubs, regional tracks and athletic training facilities at both amateur and professional levels. 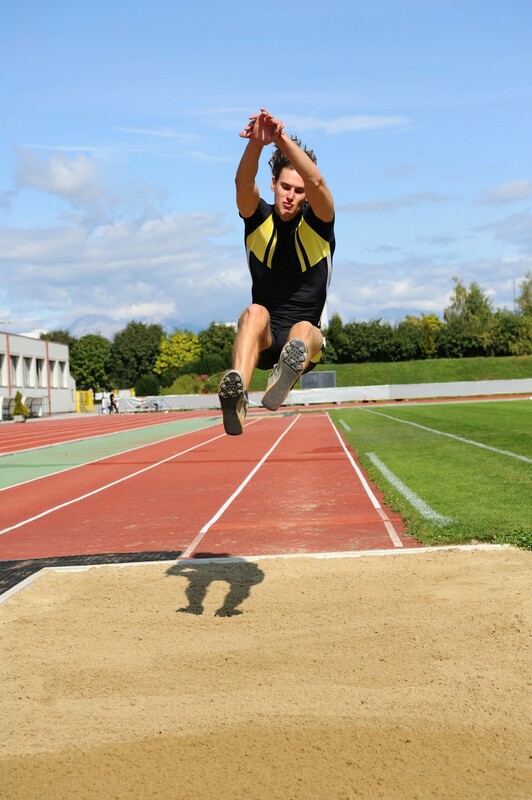 ETC Sports Surfaces offer a range of polymeric athletic tracks MUGA pitches, carefully selected to give our clients the ideal balance of innovative technology and affordable practicality. 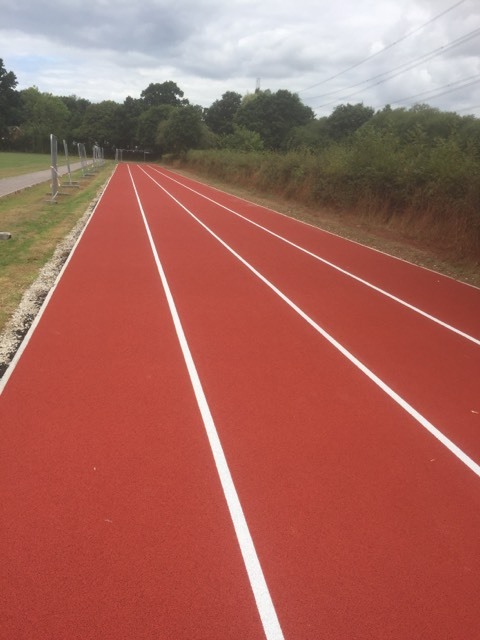 A polymeric surface is not dissimilar to a wet-pour surface – but has been developed further to achieve a porous, non-slip and spike-resistant finish. This sports surface technology is extremely adaptable too, thanks to its versatile characteristics and tailored production process. 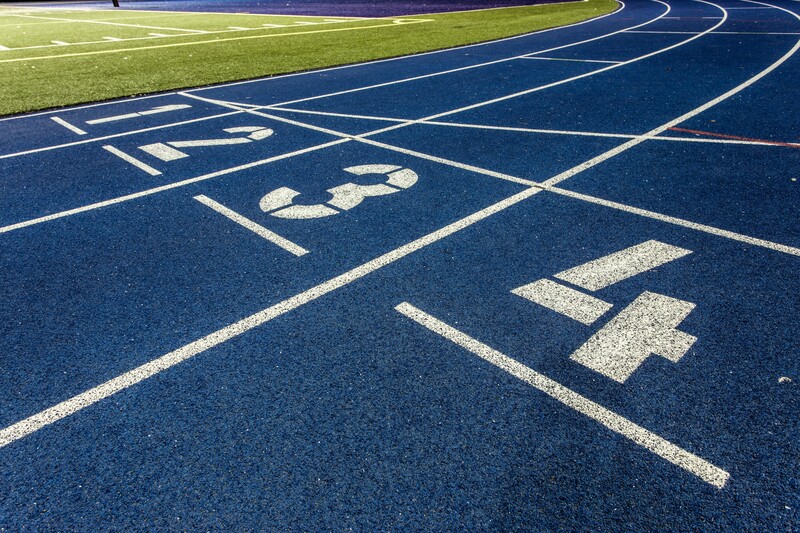 So, it’s ideal for running track surfaces, as well as for the many sports that can be played on a space-saving multi-use games area. 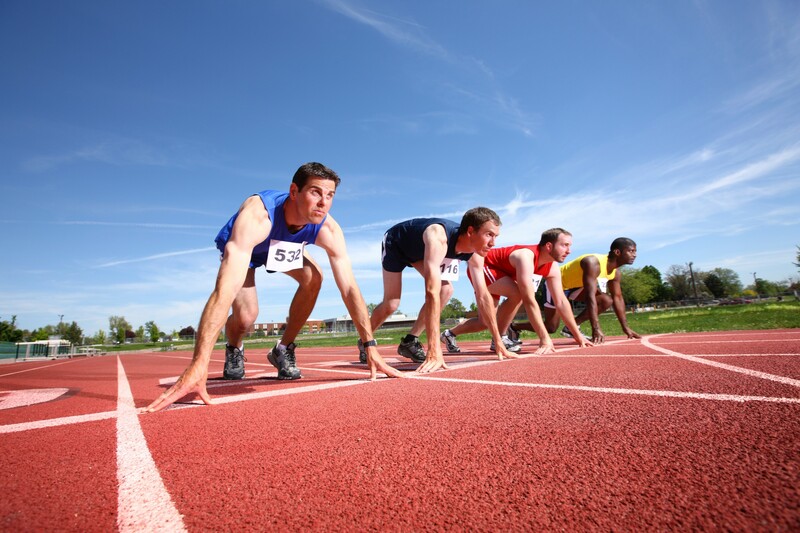 In the world of athletics, where performance is dependent on speed, power and momentum, polymeric surfaces create the ideal conditions for both amateur and professional athletes to perform to their optimum level. These surfaces are crafted via a multi-layer porous system that delivers excellent adaptability and permeability. 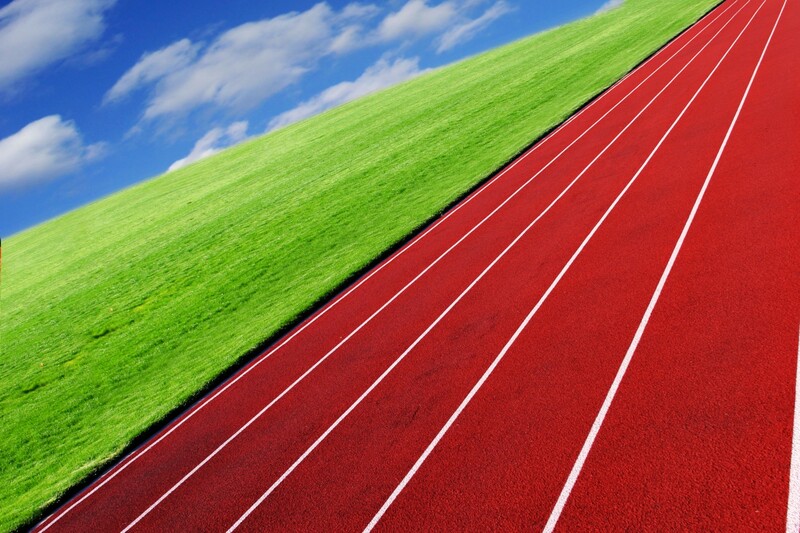 The top layer is made from a thin, firm rubber coating, providing the ideal surface for athletics. 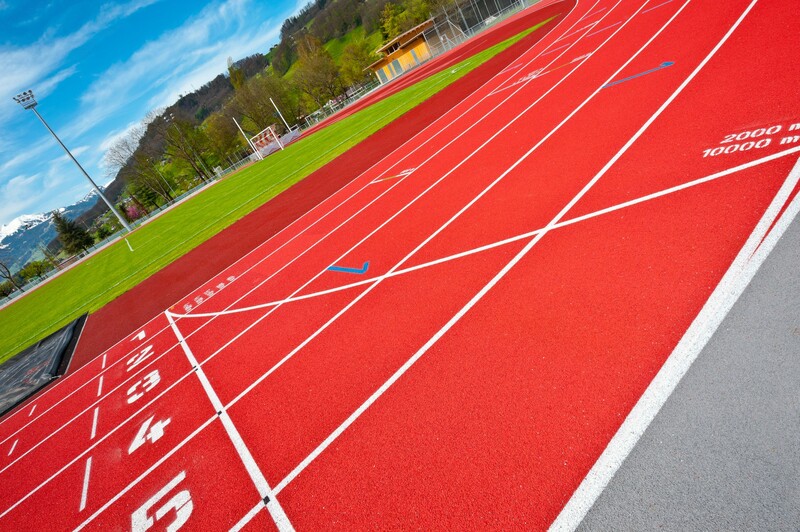 What’s more, this type of rubber running track can be finished with a range of acrylic coatings, and these can be customised to achieve different levels of cushioning, traction and surface contact. 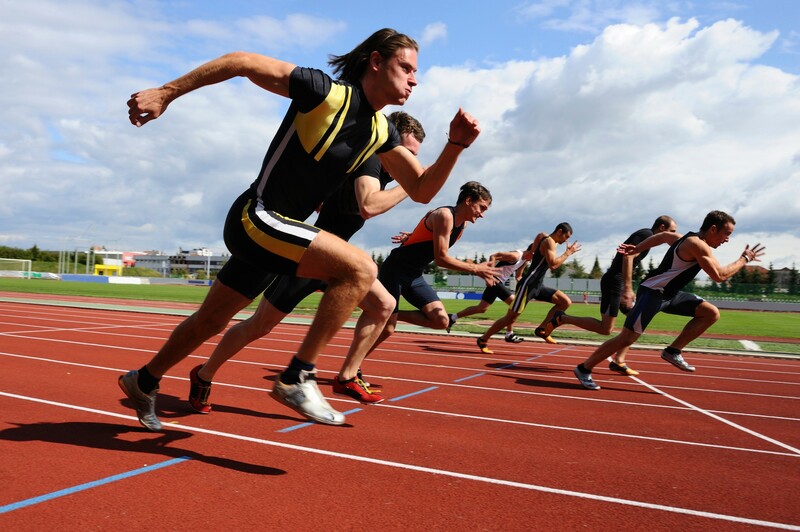 MUGAs (or multi use games areas) are a hugely popular solution for facilities like schools and public sporting facilities, where demand for use is high but space is limited. 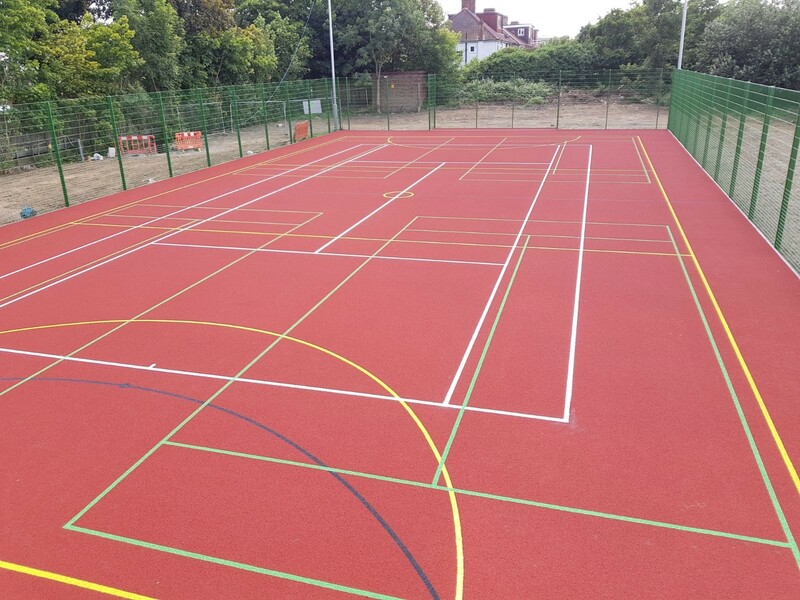 Polymeric surfaces are a great choice for a MUGA – due to their excellent ball bounce properties, safe, slip-resistant finish, free drainage and the ability to easily customise the surface with multiple markings to define a variety of court sports. 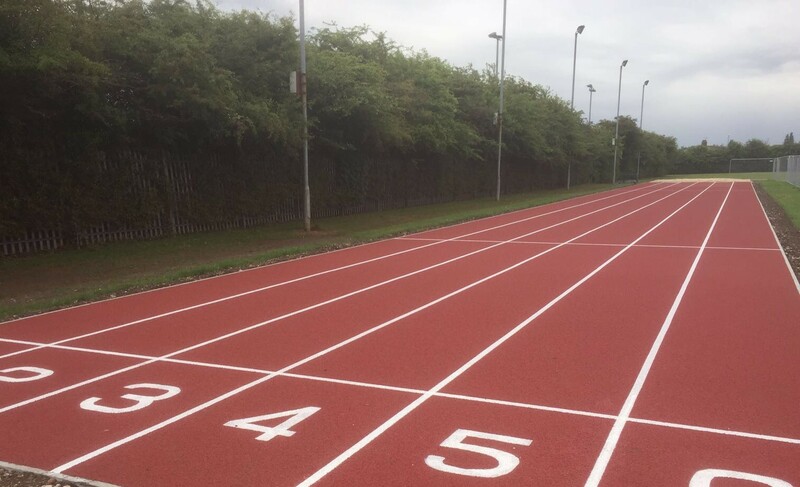 Adaptable to indoor or outdoor facilities, another major advantage of polymeric surfaces is that, with a little planning, care and maintenance is simple and cost-effective. 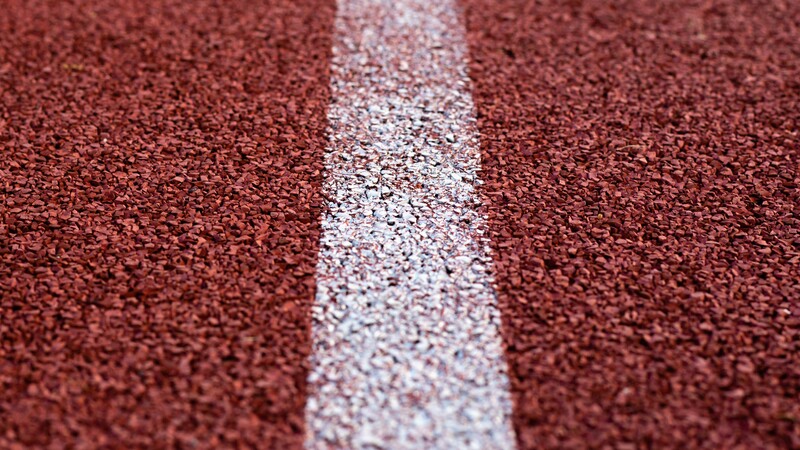 As with all synthetic surfaces, it’s important to understand the maintenance requirements of your MUGA or running track installation right from the start, so that you can plan your maintenance schedule and budget well in advance. Many of our clients choose a preferential maintenance package when they first contract us, giving them future peace of mind and significant cost benefits. 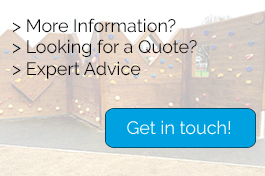 That’s just one of the reasons that clients return to us time and again to install, re-surface and maintain their polymeric athletics and MUGA surfaces. 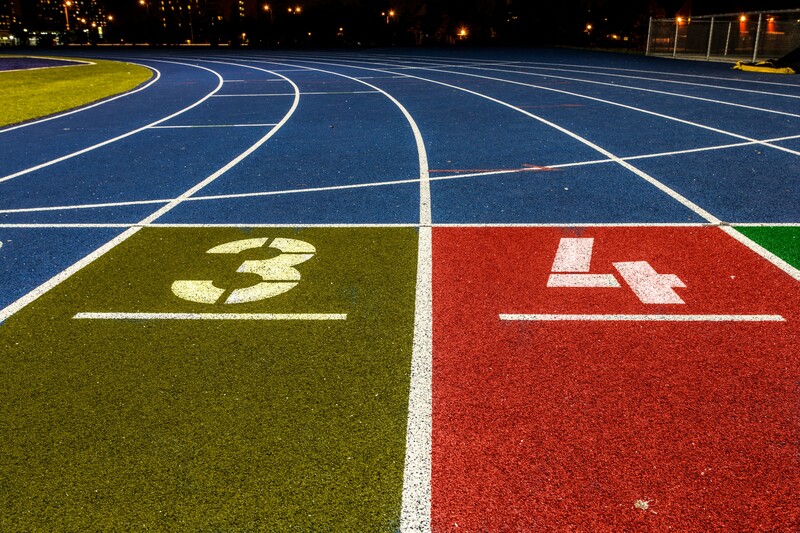 Polymeric surfaces for multi-use games areas. Options for finishing colours, markings and area sizes. Additional equipment including floodlights, fencing and rebounds.